Background Case studies are widely used in the social sciences to explore complex phenomena in natural settings. Applying boundaries is vital to ensure cases are easily identifiable and similar enough to be treated as instances of the same phenomenon. Aim To discuss using local communities to establish geographical boundaries in case studies. Discussion Postal codes can be used to define geographical boundaries. A broad range of statistical data can be collected from these areas, including demographic information, which can assist in identifying communities that have issues or characteristics that may benefit from further research. Collecting data from communities enables researchers to access appropriate populations. Conclusion Using local communities to identify case boundaries helps to provide a clear periphery to the case and generate local solutions to local problems. 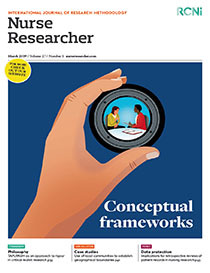 Implications for practice This approach enables researchers to immerse themselves in the local community, ensuring it engages with research projects and findings.